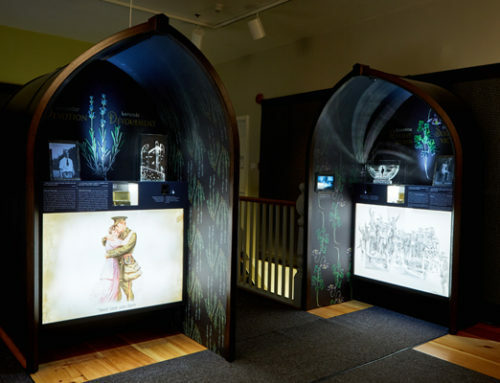 (Grand-Métis, Quebec, November 10, 2017) – The exhibition WAR Flowers: A Touring Art Exhibition is making waves during Remembrance Day Week in Canada’s National Capital. 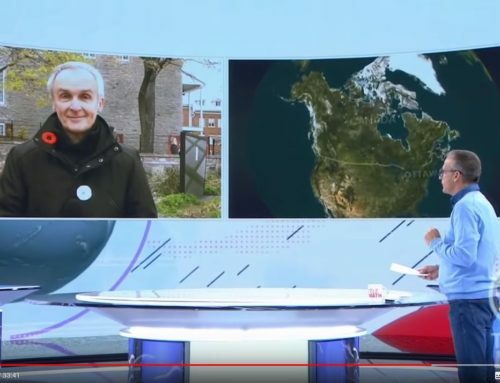 Since its opening at the Canadian War Museum in Ottawa on October 19, the travelling art exhibition has been the subject of television and radio interviews on CBC, CTV, Radio-Canada. Articles have appeared in Canadian Geographic, Legion Magazine and Huffpost Canada. Curator Viveka Melki and contributing artists Céline Arseneault, Alexandra Bachand, Normand Dumont, Claude Langlois and Mark Raynes Roberts have been interviewed on the exhibition and its unique power. 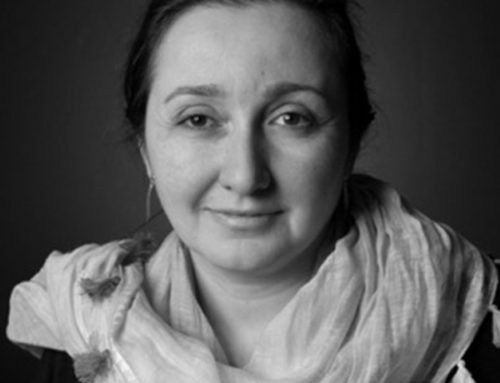 Viveka Melki and Alexandra Bachand are the featured guests on the Ontario Today radio show from 12 noon to 1 pm on Friday, November 10, the CBC’s popular lunchtime radio program broadcast throughout Ontario. 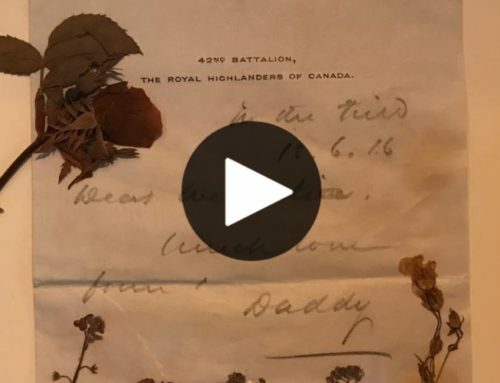 During the First World War, Canadian soldier George Stephen Cantlie plucked flowers from the fields and gardens of war-torn Europe and sent them home to his baby daughter Celia in Montreal. One hundred years later, his touching ritual has provided the inspiration for an innovative multi-sensory experience. 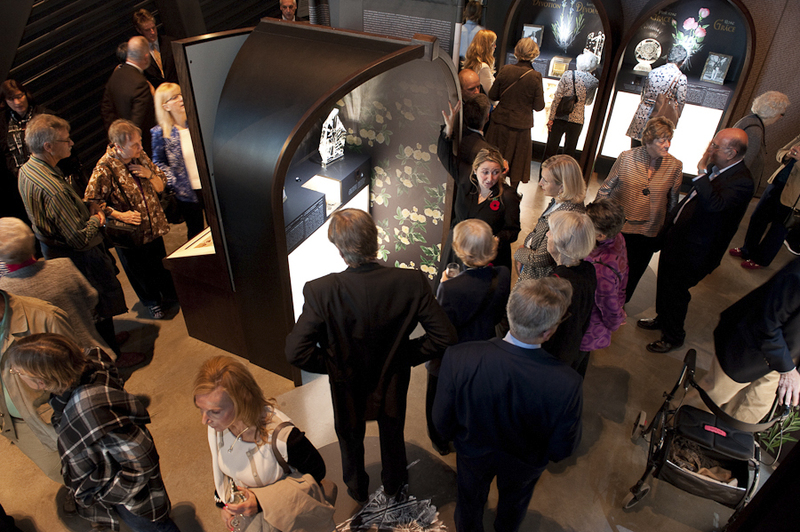 WAR Flowers: A Touring Art Exhibition examines human nature in wartime through artistic representations that combine Cantlie’s letters and pressed flowers with original scents, crystal sculptures and portraits of 10 Canadians directly involved in the First World War. The exhibition — developed by curator Viveka Melki and les Jardins de Métis/Reford Gardens — is built around Cantlie’s century-old preserved blooms. Melki has reinterpreted these through floriography, a Victorian method of communicating meaning and emotion with flowers. WAR Flowers consists of 10 stations, each showcasing a type of flower picked by Cantlie along with one or more of his letters. The stations represent individual attributes associated with the exhibition’s themes and reflect Melki’s beliefs about war. Each station also highlights a Canadian who embodied these attributes, and features his or her personal experiences of the First World War. The exhibition is rounded out by specially commissioned optical crystal sculptures by Toronto artist Mark Raynes Roberts and scents developed in Magog, Quebec by perfumer Alexandra Bachand. WAR Flowers: A Touring Art Exhibition is produced by Les Jardins de Métis/Reford Gardens and made possible with a grant from the Museums Assistance Program – Access to Heritage of Canadian Heritage, and private support from the 78th Fraser Highlanders, the Drummond Foundation, the Hay Foundation, the Jackman Foundation, the Montreal Council of Women, the Molson Foundation, the St. Andrew’s Society of Montreal, the WCPD Foundation, the Zeller Family Foundation and many individual donors. The exhibition is on view in the Canadian War Museum’s Regeneration Hall until January 7, 2018. It will open at the Campbell House Museum in Toronto on January 23. It will then travel to the new Visitor Education Centre at the Canadian National Memory in Vimy, France where it will open on April 9, 2018. It will be on view at the Château Ramezay Museum and Historic Site in Montreal from October 2018 to March 2019. For more information, visit the exhibition website at warflowers.ca.